Australia’s population has hit the 25 million mark according to projections from the Australian Bureau of Statistics (ABS), a milestone reached in record time as net migration continues to outpace births. The ABS population clock estimates Australia’s population is increasing by one person every 83 seconds, and the new population record was set at about 11:00pm. While we cannot know for certain who the 25 millionth person was, author and political commentator George Megalogenis said they were most likely a young, female Chinese student or skilled worker. “The two biggest migrant groups in Australia are Chinese and Indians since the turn of the 21st century,” he told The World program. “So we’re getting an extraordinary number of Chinese and Indians from two countries that are actually rising. “Since about 2005, we’re receiving more people from overseas than have been added to our population through natural increase, so more migrants than babies. Net overseas migration — the number of arrivals minus departures — currently accounts for 62 per cent of Australia’s growth. Natural increase makes up 38 per cent. “Last time that happened was in the gold rushes of the 1850s,” Megalogenis said. If you look at arrival figures, as opposed to net overseas migration, people born in China emerge as the largest group of migrants accounting for 15.8 per cent of total arrivals. Divided by visa category, international students are the largest group of arrivals, and China is the most common country of birth for international students in Australia. University of Melbourne student Jinghua Liang, 20, said she was attracted to Australia’s multicultural society and lifestyle. “I think the first thing when I think about Australian schools is fresh air, blue sky, good food — and my mum told me [about] emus, kangaroos, that’s a pretty attractive thing,” Ms Liang said. The journalism student said she was surprised to hear that the 25 millionth Australian was likely to be a Chinese woman. “Many of my friends speak good English with pretty awesome Aussie accents, but many of them don’t want to stay here,” she said, adding that many students had cultural reasons for choosing to return home. If Ms Liang does remain, she would join a growing population of single, well-educated Chinese women who have decided to stay in Australia permanently. “Every time I read this stat, my jaw drops — the Chinese-born population in Australia is overwhelmingly female, and in fact it has one of the greatest gender skews towards women of any migrant group,” Megalogenis said. Megalogenis predicts marriages between Chinese-born and Indian-born migrants, who have a heavy gender skew towards men, will become increasingly common in coming decades and continue a long-standing trend in Australian history. And that ability may prove crucial in future decades, where Megalogenis said different states in Australia were likely to have populations with diverse cultural and ethnic backgrounds. 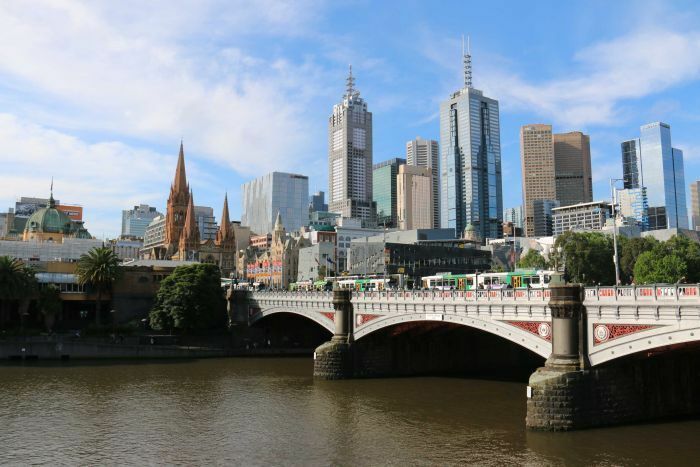 “There is … a Eurasian identity being formed in Melbourne and Sydney … the rest of the country are oversubscribed from migrants from other parts of the world,” he said. “New Zealand migration is really driving the migration story on the Gold Coast and in Brisbane, and English and South African migration is driving the migration story in Perth.